While originally focused on streamlining manufacturing processes, the field of industrial engineering now improves processes and systems in virtually all industries, to make them more efficient, yielding less waste, and costing less. 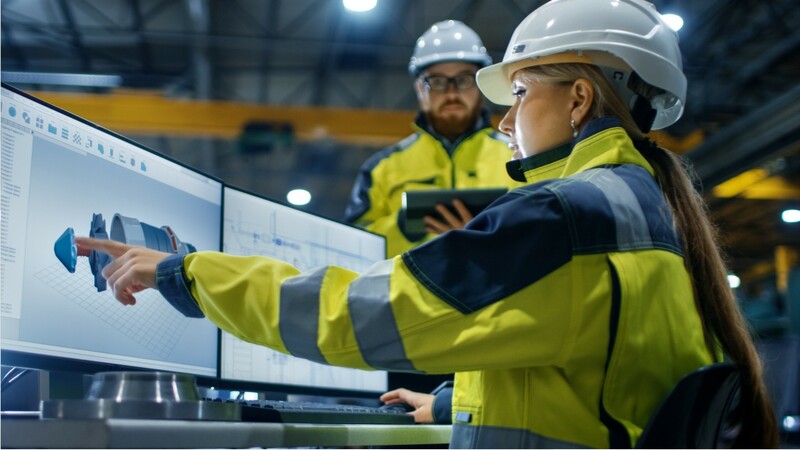 To maximize efficiency, industrial engineers balance many factors such as the number and type of workers involved in a process, available equipment, safety, environmental impact, and cost. They might design faster production methods… choose new materials to make longer-lasting products… or devise ways to move customers through a line faster at an amusement park. Some engineers focus entirely on automated manufacturing and work with robots and computer networks. Industrial engineers often rely on teams to identify problems and solutions in their work. They generally work in offices… or travel to the settings they are analyzing to identify improvements. For example, they may watch workers assemble parts in a factory, then return to an office to analyze the data they have collected. Most industrial engineers work full time, but hours may vary depending on the needs of specific projects. Industrial engineers need a bachelor’s degree, in industrial engineering or a related engineering field. Employers value practical experience in the field, which many programs offer as part of a degree program. See more details at O*NET OnLine about human factors engineers and ergonomists. Human Factors Engineers & Ergonomists by U.S. Department of Labor, Employment and Training Administration is licensed under a Creative Commons Attribution 4.0 International License.